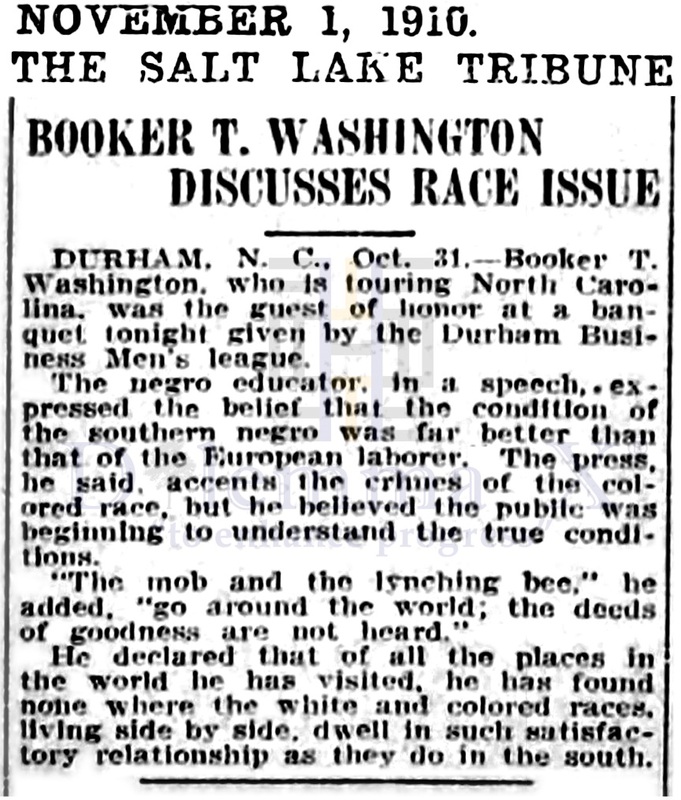 Booker T. Washington visited the 1896 Durham County Colored Fair and later visited North Carolina in 1910. In 1896, Trinity College suspended classes for half a day so its students could attend the Fair to hear the renowned American leader Booker T. Washington. 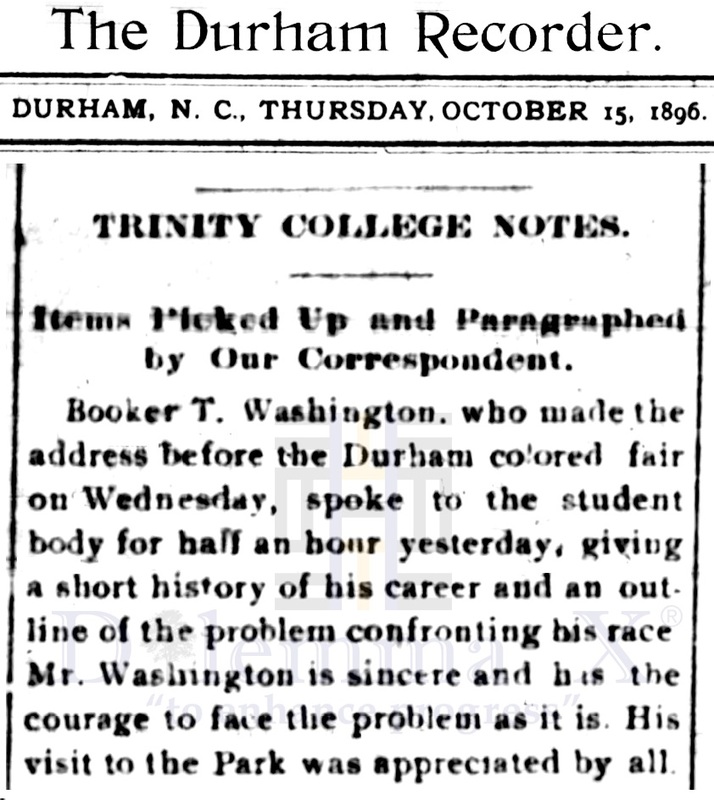 Washington was later invited to speak at the Chapel exercises on the Trinity College campus while he was in Durham. 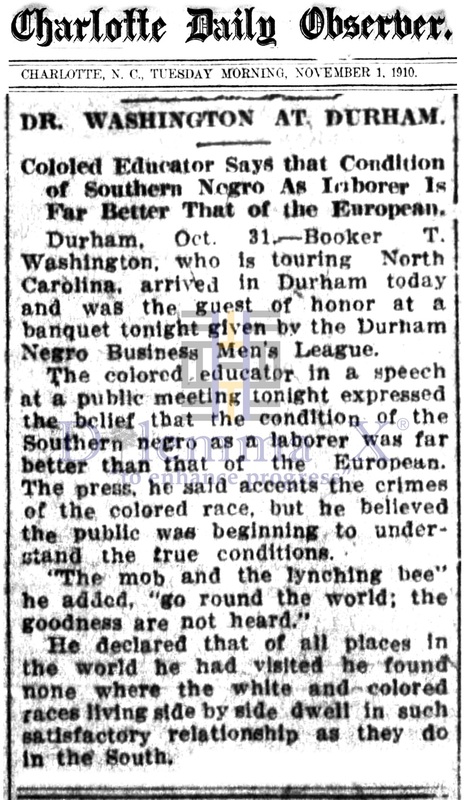 This made Duke University the first all white southern college to invite Booker T. Washington to be a guest speaker. It was thought that neither the local nor the state press reported on the speech on campus. In fact, this is not the case. See the following historical articles below.